Mary Vaux Walcott was a skilled wildflower artist, photographer, amateur botanist, glaciologist, and promoter of the scenic beauty of the Canadian Selkirks and Rockies. Born July 31, 1860, the only daughter of prominent Philadelphia Quakers George Vaux Sr. and his wife Sarah, she had two younger brothers, George and William. After her mother’s death in 1880, Mary assumed the role of caregiver and manager of their Philidelphia family home, their Bryn Mawr dairy farm and country home, Llysfran. Mary’s deep attachment to the Selkirks and Rockies began in 1887. This was the first summer that overnight accommodation was available at Canadian Pacific Railway’s Glacier House, located just west of Rogers Pass. During her family’s July stay at Glacier House, Mary and her brothers photographed and mapped the spectacular Illecillewaet Glacier. On a return visit in 1894, her father and brothers noticed how extensively the Illecillewaet Glacier had receded since 1887. The die was cast: from 1897 to 1911, under the guidance of William, an engineer, the siblings created records of the movement of the Illecillewaet, Asulkan, and, in some years, Yoho and Victoria glaciers, records which are still consulted today. After 1911 only Mary visited and she maintained the records intermittently until 1923. The siblings’ pamphlet Glaciers of the Canadian Rockies and Selkirks, first issued in 1900 and updated in 1914 and 1922, was widely distributed to tourists by the CPR.
. . . I feel a sense of ownership in [the Yoho Valley] being the first white woman that visited it . . . It is to me the loveliest spot to be found, and always quickens my blood when I hear and speak of it, and I can imagine no greater delight than camping there away from the tourist, and the noise of the iron horse. She promoted mountain travel through hand coloured lantern slide talks she gave in the Philadelphia area and elsewhere. 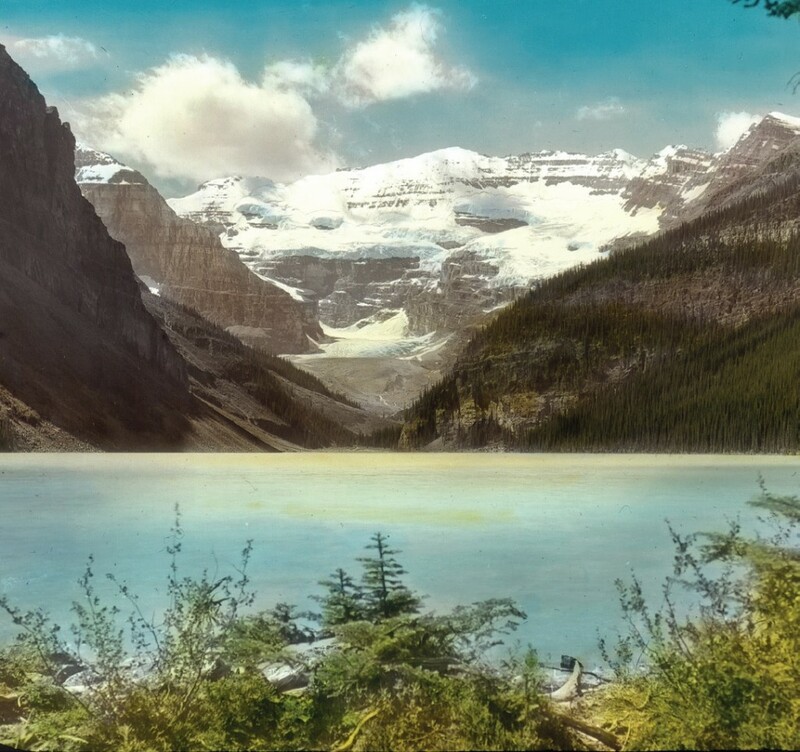 Two hundred people attended her August 15, 1912, presentation to the Women’s Canadian Club of Winnipeg featuring slides of beauty spots such as Lake Louise, Moraine Lake, Lake O’Hara, Emerald Lake, Yoho Valley, and Twin Falls. In August 1907, the Vaux family met palaeontologist Charles Walcott, Secretary of the Smithsonian Institution, in Field, BC, during his initial research season in the Canadian Rockies. The death of Walcott’s wife Helena, in July 1911, marked a turning point in Mary’s life. By the spring of 1912 she and Charles, who was ten years her senior, were in frequent contact by letter and in person. She courageously married Charles on June 30, 1914, despite the objections of her father who expected her to care for him until his death. During the months she and Charles lived in Washington, Mary was involved in charitable work, painting, photography. She also travelled regularly to Philadelphia to visit family and attend to Quaker business. They led an active social life, often hosting dinners for foreign ambassadors and senior American politicians. 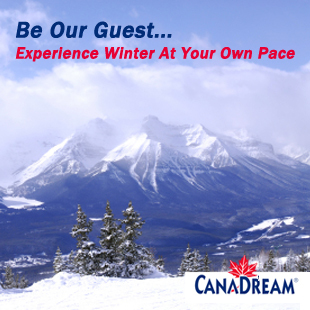 To Mary’s delight, they travelled to the Canadian Rockies each year from 1914 to 1925 with the exception of 1915. They usually spent three to four months moving from site to site in today’s Yoho, Banff, Jasper, and Kootenay National Parks as Charles completed field work related to his studies of Cambrian geology and the Burgess Shale fossils while Mary painted wildflowers. They rarely stayed in mountain hotels; their preferred abode was a tent. 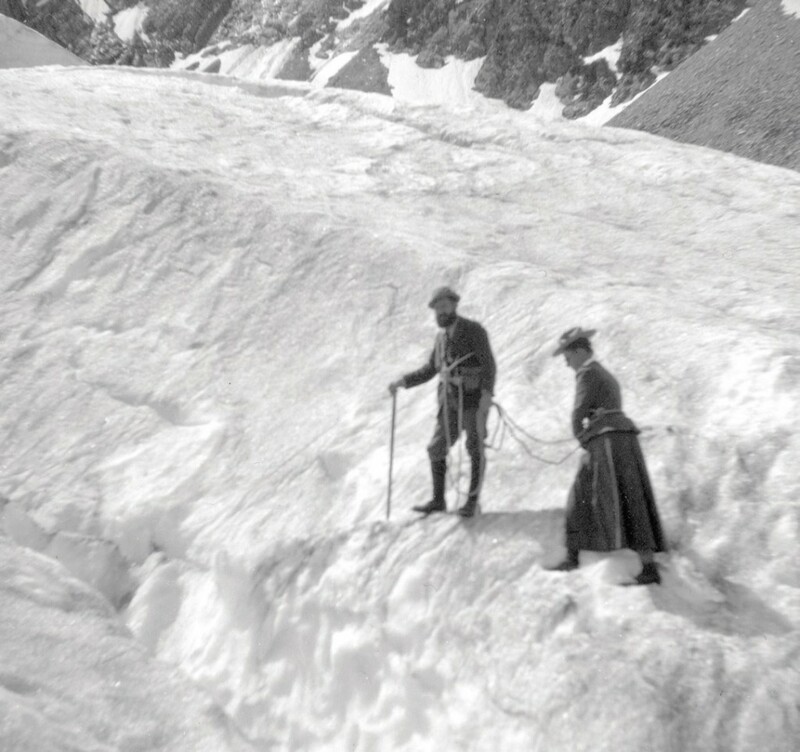 Most years Mary, often accompanied by Charles, made a brief visit to Glacier House to measure glacial movement. Mary began to paint at the age of 10 after receiving a box of watercolours. She began to take her painting seriously when she was asked to paint a rare alpine flower for a botanist guest at Glacier House. She and Charles resolved to publish her wildflower watercolours. As the Smithsonian lacked funds to finance the publication, Mary diligently travelled as far as New Orleans and Saint Louis to solicit subscribers willing to advance $500 for a copy of the deluxe edition. To promote the project, she gave illustrated lectures to garden and arts clubs and displayed her sketches in private galleries and at the Smithsonian. 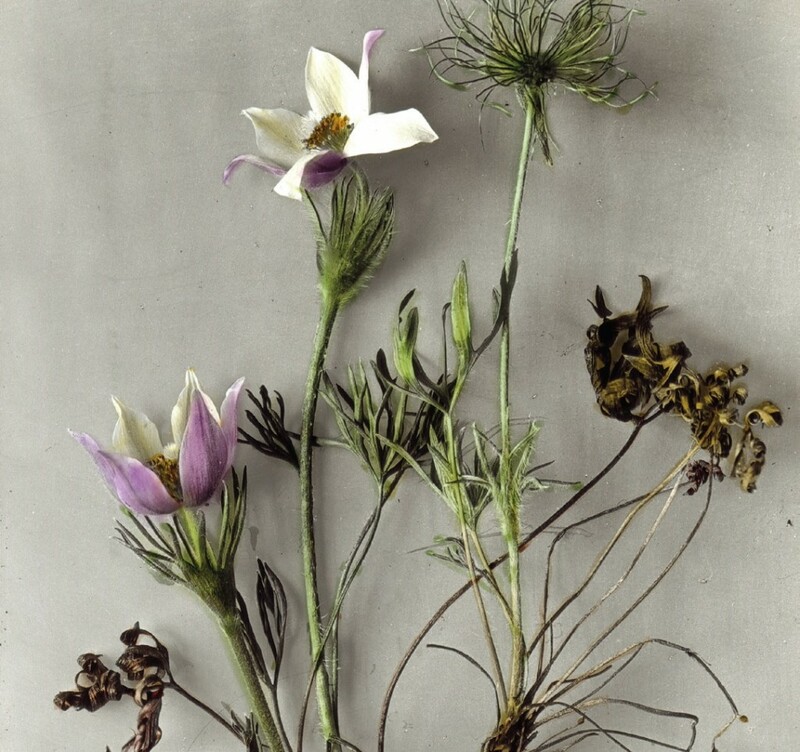 North American Wildflowers, a five volume set containing 400 of Mary’s wildflower watercolours accompanied by text identifying the flowers and telling where each specimen had been found, was published between 1925 and 1929. Mary’s passion for painting wildflowers continued – she was preparing new sketches for publication at the time of her death. 1936 to explore gardens. She continued to lecture on gardens, wildflowers, the production of her book, and her travels. 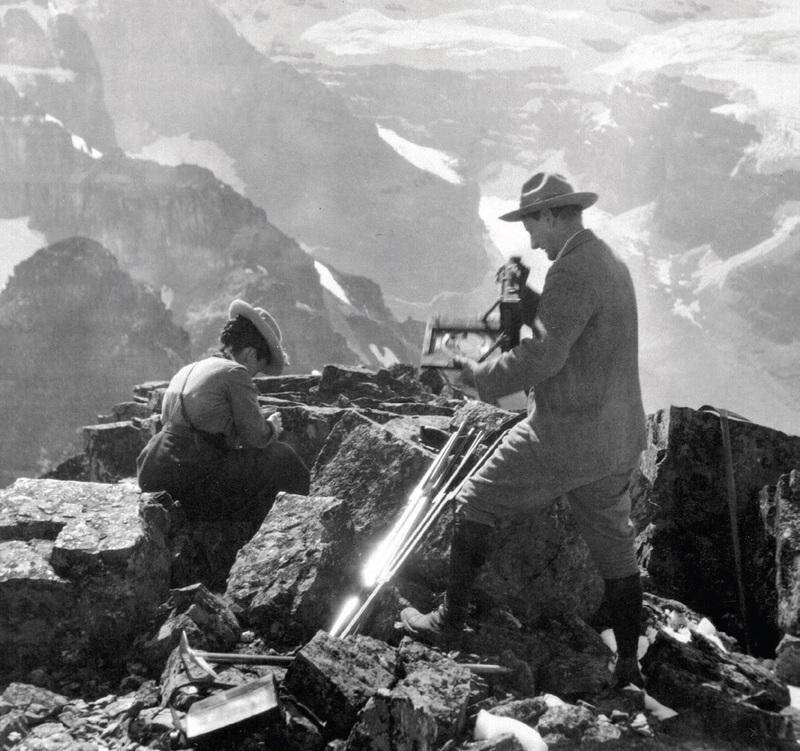 Her expertise was recognized: her presentation on wildflowers of the Canadian Rockies given in Toronto, Ontario in January 15, 1938, in the Royal Canadian Institute’s winter lecture series drew an audience of 3000. She also gave a talk on wildflowers and conservation on the CBC. While visiting friends, Dr. and Mrs. Ross near St. Andrews, New Brunswick, Mary died of a heart attack on August 22, 1940. Mount Mary Vaux in the Maligne Lake area and one of its peaks, Llysfran, named after the Vaux family home in Bryn Mawr, serve as permanent tributes to Mary and the Vaux family. Though Glacier House was pulled down in 1929, its site can be accessed from the Illecillewaet campground. Its history is presented through the story boards erected there. Two versions of North American Wildflowers reprinted under the title Wild Flowers of America are available at reasonable prices from second hand book sellers.